A wide spectrum of hereditary and non-hereditary disorders results in development of renal cysts in adult patients. Hereditary renal cystic syndromes include autosomal dominant polycystic kidney disease, medullary cystic kidney disease, von Hippel-Lindau syndrome, and tuberous sclerosis. The non-hereditary disorders that predispose to the formation of renal cysts include acquired cystic kidney disease, medullary sponge kidney, multicystic dysplastic kidney, and localized renal cystic disease (Table 1). 1 Recent advances in genetics and molecular biology have shown that functional and structural abnormality of the primary cilia of the renal tubular epithelial cells subsequently lead to hereditary renal cystic diseases. Non-hereditary renal cystic diseases result from abnormal renal embryogenesis and/or neoplastic mechanisms. 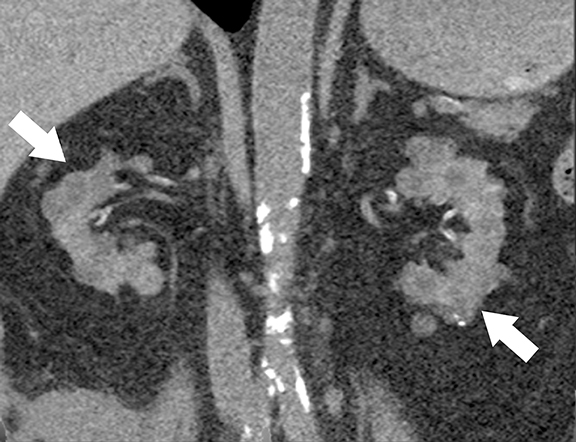 Many adult renal cystic diseases show characteristic imaging findings that may help in accurate diagnosis. Improved understanding of pathophysiologic mechanisms has led to development and testing of novel drugs for some of these diseases. In addition to diagnosis, imaging studies play a pivotal role in long-term surveillance, assessing prognosis, and testing efficacy of drugs. Renal size (large vs. normal vs. small), location and laterality of the cysts (cortex vs. medulla; unilateral vs. bilateral), and associated findings in other organs will help in making a definitive diagnosis in an adult patient with multiple renal cysts. Bilateral enlarged kidneys with multiple hemorrhagic and non-hemorrhagic cortical cysts with associated hepatic cysts are typical of ADPKD. Multiple, bilateral medullary cysts in small to normal sized kidneys in appropriate clinical setting favor the diagnosis of MCKD. Bilateral normal to mildly enlarged kidneys with complex renal cysts and multiple enhancing renal masses in conjunction with pancreatic cysts, central nervous system hemangioblastomas are characteristic of VHL. 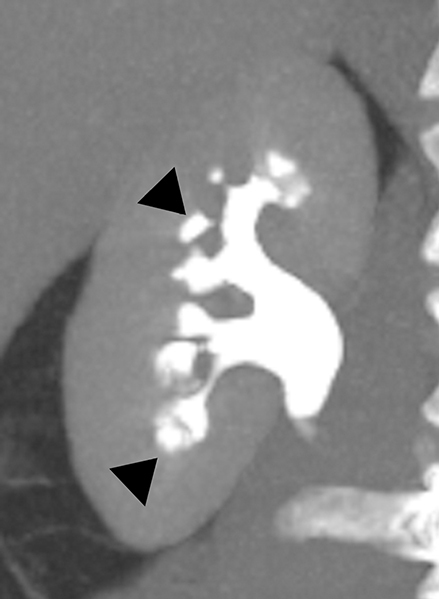 Multiple, bilateral renal angiomyolipomas intermixed with renal cysts in normal to enlarged kidneys is typically seen in Tuberous Sclerosis Complex patients. 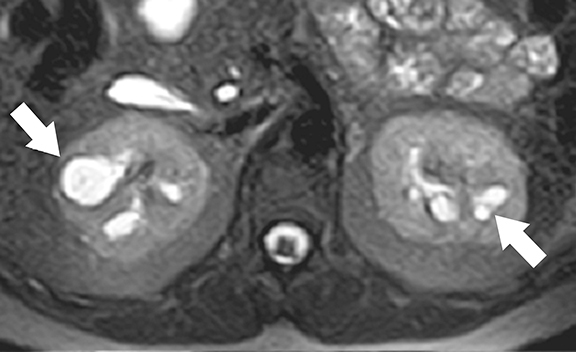 Bilateral small kidneys with multiple cysts in patients with end stage renal disease is diagnostic of ACKD. Medullary nephrocalcinosis with or without associated cystic dilatation of medullary collecting ducts in bilaterally small to normal sized kidneys is typically seen in MSK patients. 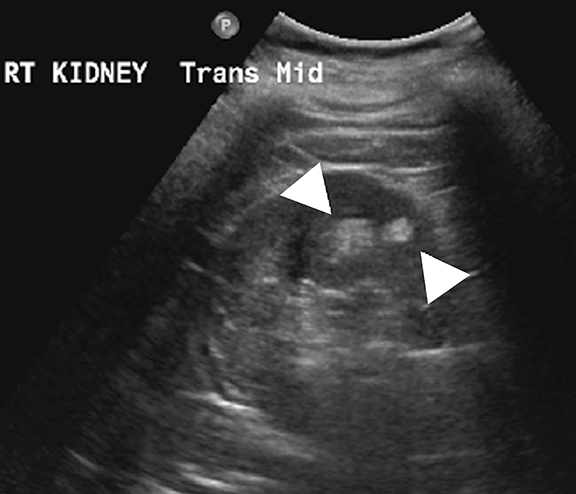 Nonfunctioning unilateral kidney with multiloculated appearance and without identifiable renal vessels and pelvicalyceal system is characteristically seen in MCDK. Unilateral or segmental disease with conglomerate renal cysts intervening with normal or atrophic renal parenchyma that demonstrate normal contrast excretion is characteristic of LRCD. Among all, VHL and ACKD have significantly increased risk of renal cell carcinoma and require long-term surveillance. There is a broad spectrum of hereditary and non-hereditary disorders that cause renal cystic disease in adults. Recent advances in the field of genetics and pathology have thrown fresh light on pathogenesis of some of these disorders leading to development of novel drugs aimed at halting disease progression. 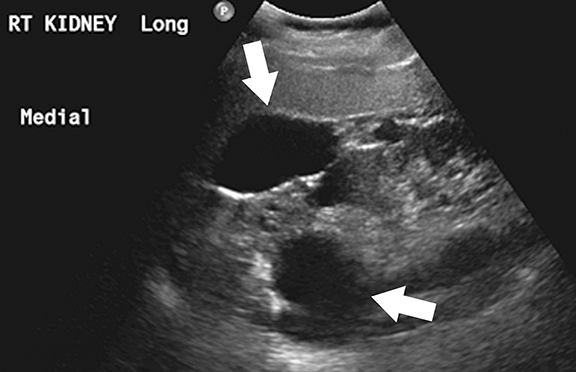 Cross-sectional imaging studies not only aid in the detection and differentiation of various chronic adult renal cystic diseases but also play a significant role in the surveillance and follow-up of patients. 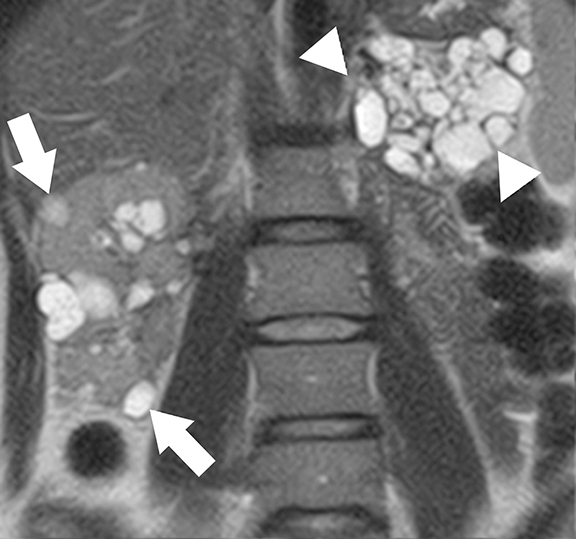 Improved awareness of adult renal cystic diseases and familiarity with their cross-sectional imaging findings permit appropriate diagnosis and patient management. Katabathina VS, Kota G, Dasyam AK, et al. Adult renal cystic disease:a genetic, biological, and developmental primer. Radiographics. 2010;30:1509-1523. 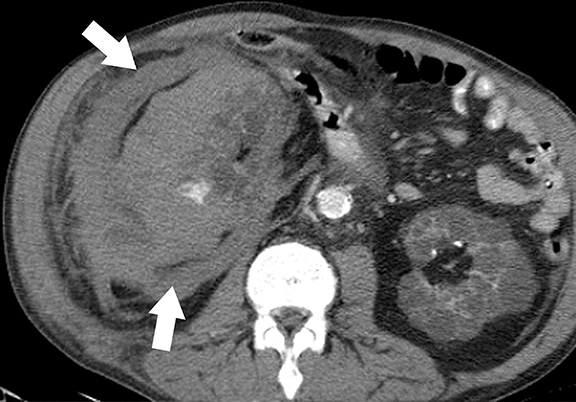 Chapman AB, Wei W. Imaging approaches to patients with polycystic kidney disease. Semin Nephrol. 2011;31:237-244. Torra R, Darnell A, Cleries M, et al. Polycystic kidney disease patients on renal replacement therapy:data from the Catalan Renal Registry. Contrib Nephrol. 1995;115:177-181. Wilson PD, Goilav B. Cystic disease of the kidney. Annu Rev Pathol. 2007;2:341-368. Fliegauf M, Benzing T, Omran H. When cilia go bad:cilia defects and ciliopathies. Nat Rev Mol Cell Biol. 2007;8:880-893. Zhang Q, Taulman PD, Yoder BK. Cystic kidney diseases:all roads lead to the cilium. Physiology (Bethesda). 2004;19:225-230. Ong AC, Harris PC. Molecular pathogenesis of ADPKD:the polycystin complex gets complex. Kidney Int. 2005;67:1234-1247. Nauli SM, Alenghat FJ, Luo Y, et al. Polycystins 1 and 2 mediate mechanosensation in the primary cilium of kidney cells. Nat Genet. 2003;33:129-137. Grantham JJ. Clinical practice. Autosomal dominant polycystic kidney disease. N Engl J Med. 2008;359:1477-1485. Choyke PL. Inherited cystic diseases of the kidney. Radiol Clin North Am. 1996;34:925-946. Chang MY, Ong AC. Autosomal dominant polycystic kidney disease:recent advances in pathogenesis and treatment. Nephron Physiol. 2008;108:1-7. Chapman AB. Approaches to testing new treatments in autosomal dominant polycystic kidney disease:insights from the CRISP and HALT-PKD studies. Clin J Am Soc Nephrol. 2008;3:1197-1204. Bae KT, Grantham JJ. Imaging for the prognosis of autosomal dominant polycystic kidney disease. Nat Rev Nephrol. 2010;6:96-106. Truong LD, Choi YJ, Shen SS, et al. Renal cystic neoplasms and renal neoplasms associated with cystic renal diseases:pathogenetic and molecular links. Adv Anat Pathol. 2003;10:135-159. Bisceglia M, Galliani CA, Senger C, et al. Renal cystic diseases:a review. Adv Anat Pathol. 2006;13:26-56. Hildebrandt F, Otto E. Molecular genetics of nephronophthisis and medullary cystic kidney disease. J Am Soc Nephrol. 2000;11:1753-1761. Adams M, Smith UM, Logan CV, Johnson CA. Recent advances in the molecular pathology, cell biology and genetics of ciliopathies. J Med Genet. 2008;45:257-267. Kiser RL, Wolf MT, Martin JL, et al. 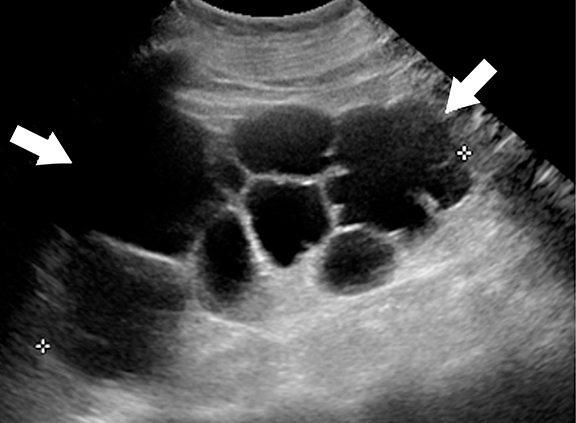 Medullary cystic kidney disease type 1 in a large Native-American kindred. Am J Kidney Dis. 2004;44:611-617. Auranen M, Ala-Mello S, Turunen JA, Jarvela I. Further evidence for linkage of autosomal-dominant medullary cystic kidney disease on chromosome 1q21. Kidney Int. 2001;60:1225-1232. Wolf MT, Mucha BE, Attanasio M, et al. Mutations of the Uromodulin gene in MCKD type 2 patients cluster in exon 4, which encodes three EGF-like domains. Kidney Int. 2003;64:1580-1587. Rizk D, Chapman AB. Cystic and inherited kidney diseases. Am J Kidney Dis. 2003;42:1305-1317. Scolari F, Viola BF, Prati E, et al. Medullary cystic kidney disease:past and present. Contrib Nephrol. 2001:68-78. Lonser RR, Glenn GM, Walther M, et al. von Hippel-Lindau disease. Lancet. 2003;361:2059-2067. Hasani-Ranjbar S, Amoli MM, Ebrahim-Habibi A, et al. Mutation screening of VHL gene in a family with malignant bilateral pheochromocytoma:from isolated familial pheochromo cytoma to von Hippel-Lindau disease. Fam Cancer. 2009;8:465-471. 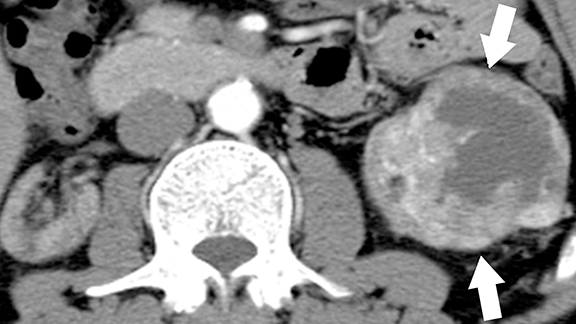 Leung RS, Biswas SV, Duncan M, Rankin S. Imaging features of von Hippel-Lindau disease. Radiographics. 2008;28:65-79;quiz 323. Kuehn EW, Walz G, Benzing T. Von hippel-lindau:a tumor suppressor links microtubules to ciliogenesis and cancer development. Cancer Res. 2007;67:4537-4540. Wiesener MS, Maxwell PH, Eckardt KU. Novel insights into the role of the tumor suppressor von Hippel Lindau in cellular differentiation, ciliary biology, and cyst repression. J Mol Med. 2009;87:871-877. Chauveau D, Duvic C, Chretien Y, et al. 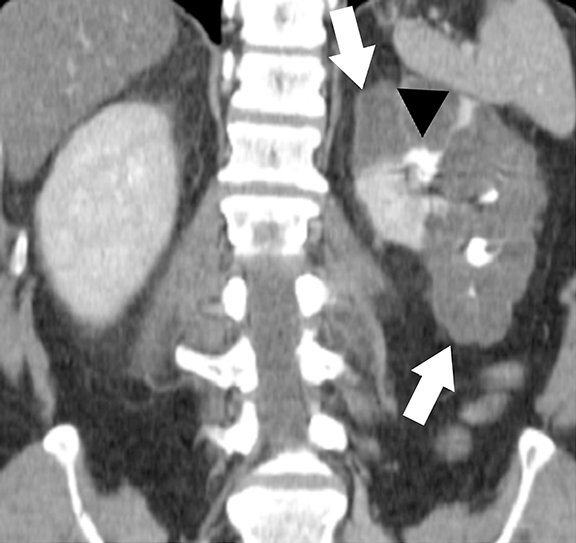 Renal involvement in von Hippel-Lindau disease. Kidney Int. 1996;50:944-951. Meister M, Choyke P, Anderson C, Patel U. Radiological evaluation, management, and surveillance of renal masses in Von Hippel-Lindau disease. Clin Radiol. 2009;64:589-600. Narayanan V. Tuberous sclerosis complex: Genetics to pathogenesis. Pediatr Neurol. 2003;29:404-409. Rakowski SK, Winterkorn EB, Paul E, et al. Renal manifestations of tuberous sclerosis complex:Incidence, prognosis, and predictive factors. Kidney Int. 2006;70:1777-1782. Crino PB, Nathanson KL, Henske EP. The tuberous sclerosis complex. N Engl J Med. 2006;355:1345-1356. Bonnet CS, Aldred M, von Ruhland C, et al. Defects in cell polarity underlie TSC and ADPKD-associated cystogenesis. Hum Mol Genet. 2009;18:2166-2176. Hartman TR, Liu D, Zilfou JT, et al. The tuberous sclerosis proteins regulate formation of the primary cilium via a rapamycin-insensitive and polycystin 1-independent pathway. Hum Mol Genet. 2009;18:151-163. Umeoka S, Koyama T, Miki Y, et al. Pictorial review of tuberous sclerosis in various organs. Radiographics. 2008;28:e32. Choyke PL. Acquired cystic kidney disease. Eur Radiol. 2000;10:1716-1721. Levine E. Acquired cystic kidney disease. Radiol Clin North Am. 1996;34:947-964. Bhatnagar R, Alexiev BA. Renal-cell carcinomas in end-stage kidneys:a clinicopathological study with emphasis on clear-cell papillary renal-cell carcinoma and acquired cystic kidney disease-associated carcinoma. Int J Surg Pathol. 2012;20:19-28. Tickoo SK, dePeralta-Venturina MN, Harik LR, et al. Spectrum of epithelial neoplasms in end-stage renal disease:an experience from 66 tumor-bearing kidneys with emphasis on histologic patterns distinct from those in sporadic adult renal neoplasia. Am J Surg Pathol. 2006;30:141-153. Gambaro G, Feltrin GP, Lupo A, et al. Medullary sponge kidney (Lenarduzzi-Cacchi-Ricci disease):a Padua Medical School discovery in the 1930s. Kidney Int. 2006;69:663-670. Maw AM, Megibow AJ, Grasso M, Goldfarb DS. 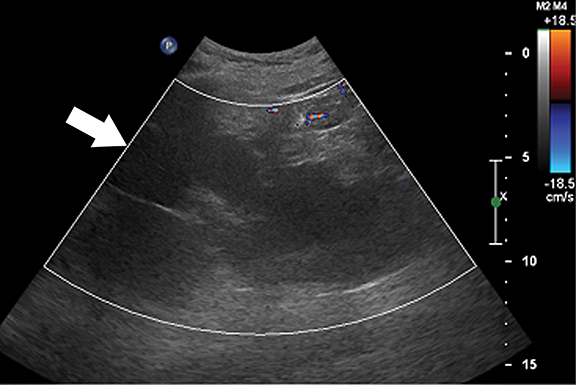 Diagnosis of medullary sponge kidney by computed tomographic urography. Am J Kidney Dis. 2007;50:146-150. Prasad SR, Narra VR, Shah R, et al. Segmental disorders of the nephron:histopathological and imaging perspective. Br J Radiol. 2007;80:593-602. 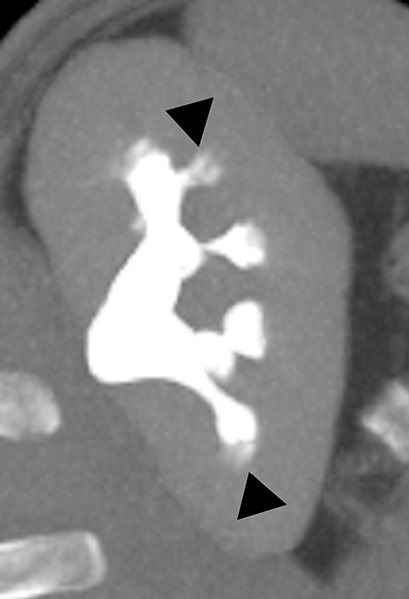 Levine E, Hartman DS, Meilstrup JW, et al. 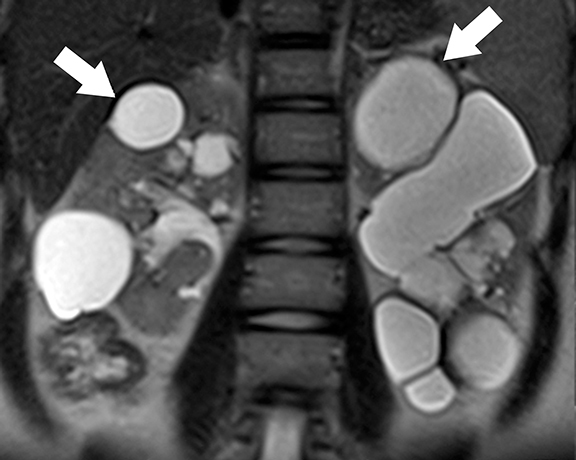 Current concepts and controversies in imaging of renal cystic diseases. Urol Clin North Am. 1997;24:523-543. Lang EK, Macchia RJ, Thomas R, et al. 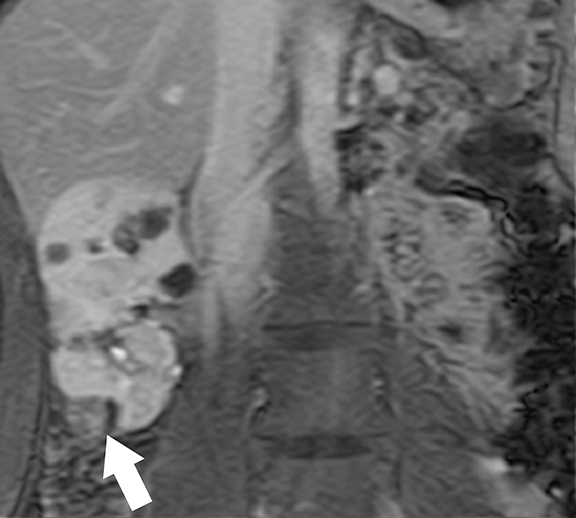 Multiphasic helical CT diagnosis of early medullary and papillary necrosis. J Endourol. 2004;18:49-56. Jungers P, Joly D, Barbey F, et al. ESRD caused by nephrolithiasis:prevalence, mechanisms, and prevention. Am J Kidney Dis. 2004; 44:799-805. Merrot T, Lumenta DB, Tercier S, et al. Multicystic dysplastic kidney with ipsilateral abnormalities of genitourinary tract:experience in children. Urology. 2006;67:603-607. Pope JC, Brock JW, 3rd, Adams MC, et al. How they begin and how they end:classic and new theories for the development and deterioration of congenital anomalies of the kidney and urinary tract, CAKUT. J Am Soc Nephrol. 1999;10:2018-2028. Jeon A, Cramer BC, Walsh E, Pushpanathan C. A spectrum of segmental multicystic renal dysplasia. Pediatr Radiol. 1999;29:309-315. Rabelo EA, Oliveira EA, Silva JM, et al. Conservative management of multicystic dysplastic kidney:clinical course and ultrasound outcome. J Pediatr. 2005;81:400-404. Slywotzky CM, Bosniak MA. Localized cystic disease of the kidney. AJR Am J Roentgenol. 2001;176:843-849. Hwang DY, Ahn C, Lee JG, et al. 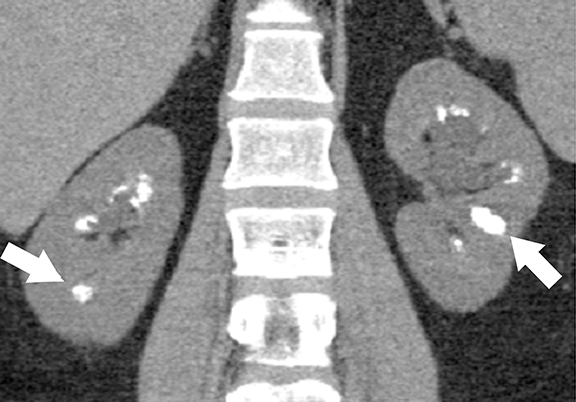 Unilateral renal cystic disease in adults. Nephrol Dial Transplant. 1999;14:1999-2003. Kim DJ, Kim MJ. 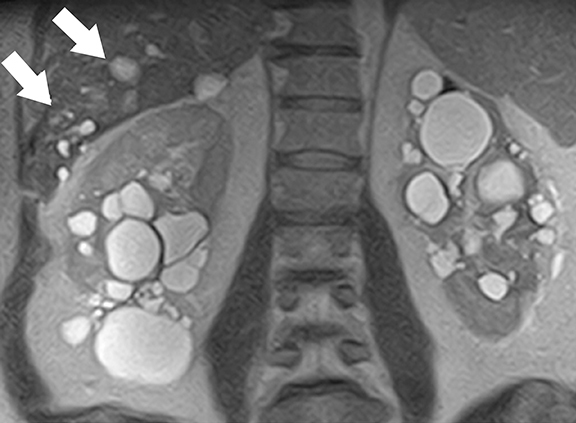 Localized cystic disease of the kidney:CT findings. Abdom Imaging. 2003;28:588-592. Katabathina VS, Vinu-Nair S, Gangadhar K, Prasad SR. Update on adult renal cystic diseases. Appl Radiol. 2015;44(11):44-50. Dr. Katabathina is an Associate Professor and Dr. Vinu-Nair is a Fellow in the Department of Radiology at the University of Texas Health Science Center in San Antonio, TX; Dr. Gangadhar is a Fellow in Abdominal Imaging and Intervention at the University of Washington, Seattle, WA; and Dr. Prasad is a Professor in Abdominal Imaging, the Department of Radiology, at the University of Texas MD Anderson Cancer Center, Houston, TX.